This is a summary of a TechOps Track Session titled, “Empowering Advisors: Delivering Tools that Support Today’s Client Needs” from the Money Management Institute’s 2014 Fall Solutions Conference. The discussion topic was supposed to be centered on how firms are delivering new advisor tools to help them customize solutions for different client segments. However, the actual conversations were dominated by the threat of robo-advisors, areas where they have succeeded and how firms need to change to meet this challenge to the industry. The baby boom generation is retiring and their focus is on wealth protection, but they are mostly uninterested in their advisor’s technology, explained Vilas Mhatre, Managing Director at Morgan Stanley Wealth Management. This is in contrast to Millenials (people ages 21-36), who are just starting out in their careers and are focused on asset growth, but have very different expectations about how technology should be integrated into their advice experience, he said. While the wirehouses have been able to align themselves with current retirees, Mhatre observed, they have not done well in converting them to a goals-based way of thinking. On the Millennial side, they also have not been able to provide a user-friendly, technology-centric platform, he stated. Robo-advisors are going after our industry in a number of different ways, said Heeren Pathak, Chief Technology Officer at Vestmark. They provide simple solutions with easy-to-understand choices that appeal to clients, he stated. Advisors focus too much on trying to explain complex program characteristics, which are often lost on most investors, Pathak stressed. How we currently talk to investors is “a bit of a mess,” he stated. There is a tremendous amount of capital being invested in technology to improve the client experience, Pathak commented. 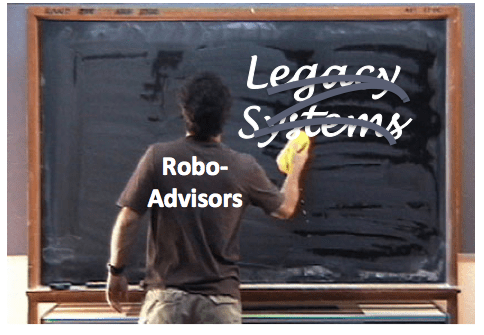 The top four robo-advisors (Wealthfront, Learnvest, Personal Capital, Betterment) have received a total of over $100mm in funding last year and they are laser-focused on client experience. Merrill Lynch spent the same amount to build their Merrill ONE consolidated platform with the same goal. Firms have to choose between building their own unique client experience or buying something from an existing vendor to keep up with the market, he warned. MyVest provides the ability to customize each client’s portfolio to meet their specific needs, Everett added, include tax situations and standing instructions, which they refer to as ‘mass personalization’. This type of functionality must be scalable and is required if traditional firms expect to compete with robo-advisors, who are adding increasing sophistication to their offerings, he advised. Advances in consumer technology has changed how clients expect to interact with their advisors. And advisors have noticed. Ten years ago, advisors didn’t want the home office building anything for their clients, Lordi reminded us. They felt that they owned the client and wanted to own the conversation with the client. Now advisors are clamoring for new interfaces and technology touch points with clients as their attitudes have changed. Pathak, who was named an Advisory Solutions All-Star Achiever by the Money Management Institute in 2012, agreed that there has been a sea change in the need for data access from certain client segments. Younger investors want “anytime” communication, similar to how they interact on social media. Millennials do not have the patience for traditional advisors modes of communication, he warned. Firms must be able to support all channels to be successful, countered Everett. When working with a new client, advisors should determine their channel of choice. Whether it is digital, through an advisor or a hybrid of both, they should receive the same level of service, he suggested. Robo-advisors have taken advantage of this by focusing almost exclusively on Exchange Traded Funds (ETF’s) as their investment products of choice. ETF’s usually carry less risk, lower costs and more stable returns than comparable investments. The simplicity of ETF’s make them easier to explain to clients and also “calls the bluff on complex investments,” commented Lordi. They enable firms to deliver market performance without appearing to be “playing the market”, he noted. Robo-advisors have an advantage because they have no legacy infrastructure to support, said Gary Jones, Senior Director Financial Services at Collaborative Consulting, who was also the moderator for this panel. This allows them to design and build an end-to-end platform that is tightly integrated and provides a superior client experience, he noted. This has been a problem that wirehouses took a long time to resolve, observed Lordi, who worked closely with Mhatre at Merrill before he also departed a few months back. Wirehouses have always believed that their stability and solid investment proposition would win the day. But robo-advisors showed them that client experience trumps investment proposition for Millennials and other technology-savvy investors, he declared. According to Pathak, one problem that frustrates both investors and advisors at traditional firms is that quarterly statements and other communications often do not accurately reflect the information that was provided to the client in their original proposal. This causes confusion for clients and forces advisors to prepare their own client reports since they do not like what the firm is providing, he lamented. Online advisory firms do not have these kind of issues, since their digital platforms are brand new and not only align from end-to-end in their view of the client, but provide a better experience in terms of online and offline presentations of data. Firms must be able to bring in assets wherever they are custodied in order to deliver holistic advice, Pathak charged. It is not enough to rely only on the custody system. Another layer must be built on top of it to perform these value-added services and provide an aggregated view, he said. The daily investment processes must be made operationally simple from the client and advisor perspectives and this must include held-away assets, Everett insisted. A 401(k) plan can be a major portion of client’s retirement strategy, but if there is no visibility into external holdings, the advisor cannot include it, he stated. MyVest has a single underlying data model, which simplifies integration and imports held-away assets from thousands of external sources, Everett informed us. This allows the advisor to turn a managed account into a completion portfolio for a client’s 401(k), he proposed. The custodial platform should be the backbone of any broker-dealer business and be leveraged by firms in order to compete with online advisors, Mhatre proposed. Merrill Lynch did this when they built their Merrill ONE platform, he explained, by making investment processes simple for advisors, where most of their daily tasks could be completed by just a few mouse clicks. With the custodial system as their foundation, their platform became more scalable and enabled advisors to support more accounts, without reducing service levels, he explained. Pathak countered that focusing on the custodial platform does not provide as much flexibility as leveraging a third-party investment system, such as Vestmark or MyVest. The Vestmark ONE unified platform processed its first client account in 2011, so they have three years of experience in providing an end-to-end solution that currently supports over 500,000 accounts and can sit on top of any custodial system, he contended. Traditional advisory firms should not surrender the low AUM space to robo-advisors without a fight, Lordi challenged. Firms should be able to provide direct-to-client offerings in a way that maintains their brand equity. Five years ago, no one knew what Betterment was, but now they have strong brand awareness, he admitted. There is a demand for lower AUM products and if you do not service this market you risk losing these clients forever, warned Pathak. When LPL dropped the account minimum on their Model Wealth Portfolios from $100,000 to $25,000 their asset flows shot up by 72%. Advisors like the program because it eliminates the need for them to do research, screen managers or rebalance portfolios. But since it is discretionary, they retain control. This year, Millennials passed Baby Boomers as a percentage of the working age population, offered Pathak. They are the ones driving the economy and whom we must focus on, he reiterated. Robo-advisors should be viewed as an opportunity to think about our business in a different way, Everett proposed. Their very existence is proof that the lower AUM segment of our business is under served, he asserted. The MyVest platform offers broker-dealers and RIA’s the ability offer advice to high net worth clients all the way down to the low end of the scale using the same architecture, Everett claimed. 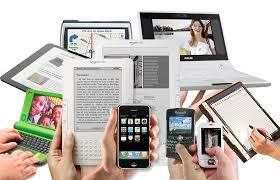 This provides a unified experience for clients across all delivery channels, he stated. Looking at traditional programs today, a false dichotomy has been setup between centrally managed, prepackaged products versus more flexible Rep as PM programs, Pathak insisted. Vestmark is planning to launch a new product in 1Q 2015 that will allow blended customization, where advisors will be able to tailor centrally-managed advice, he stated. Everett agreed that it is a misconception that prepackaged platforms cannot support scalable customization and explained that his firm already offers this. He explained that the MyVest platform was designed to support mass customization for hundreds of thousands of portfolios with tax efficiency at the household level. It should not matter whether the client is in a mutual fund wrap, Rep as PM or UMA program. The level of customization should be the same, he insisted. 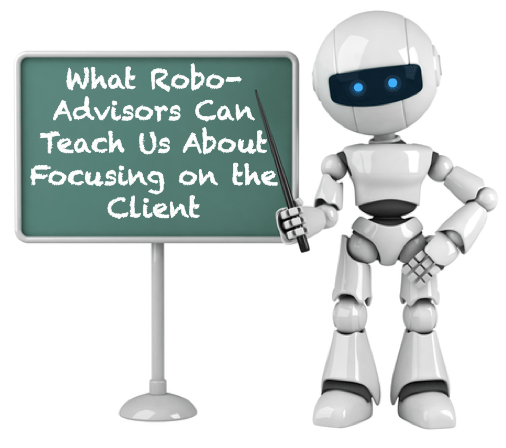 According to Everett, there is a level of sophistication in tax management that robo-advisors can not provide. Providing a portfolio rebalancer that optimizes the trade-off between increasing tracking error versus the model and aligning with client customizations is beyond the capabilities of low cost, online advisors, he concluded. One feature that the larger robo-advisors claim to offer is continuous tax management, Pathak mentioned. 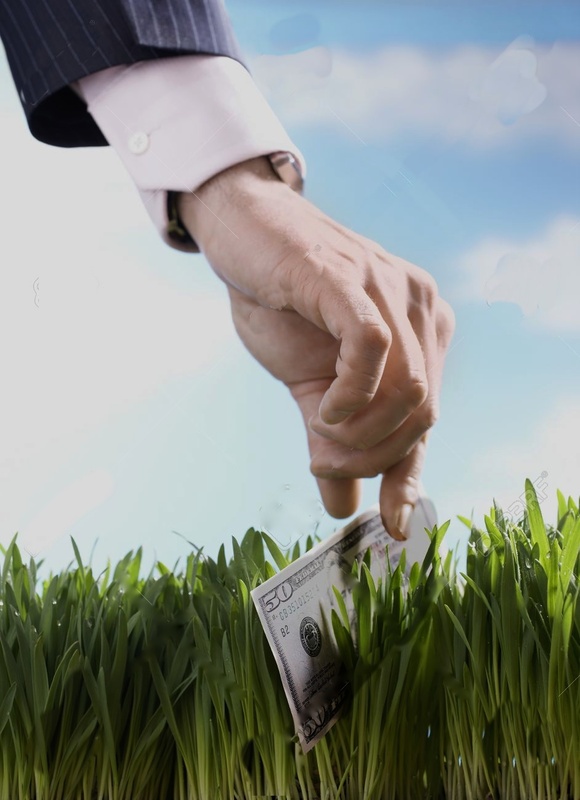 This involves actively evaluating opportunities for tax loss harvesting throughout the year, instead of only in December. Vestmark has gathered data from some of their clients that are also providing this service and they have reported that is can generate 350-400 bps of after-tax alpha, he claimed.